South Africans believe corruption on the rise: Study - SABC News - Breaking news, special reports, world, business, sport coverage of all South African current events. Africa's news leader. 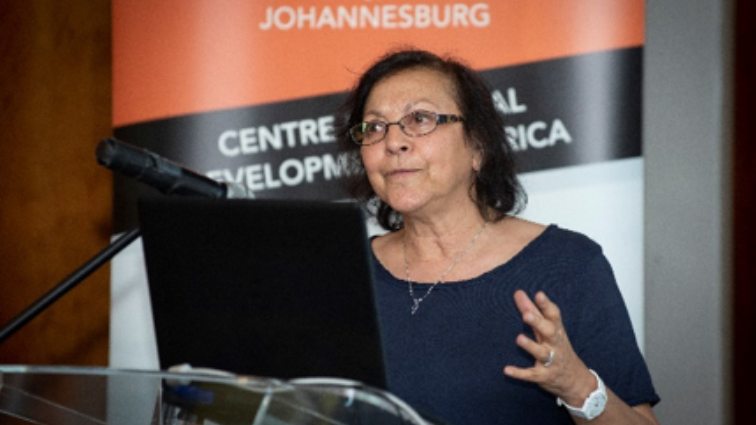 Prof Leila Patel - DST/NRF Sarchi Chair in Welfare and Social Development, Centre for Social Development in Africa, University of Johannesburg. Majority of South Africans are of the view that corruption has increased since last year. This is according research conducted by University of Johannesburg’s Centre for Social Development. Titled: The 2019 elections: Socio-economic performance and voter preferences, the study measures the influence of socio-economic rights delivery, issues of governance, corruption, land restitution, party loyalty among others on voter preferences. The eradication of corruption is one of the issues that is featuring highly on political parties’ manifestos as they try to woo voters ahead of the May 8 elections. 72% of respondents in the study believe that corruption has increased. However, the research reveals that people are likely to overlook corruption, their social challenges and distrust of government institutions and vote for the African National Congress (ANC) as they see hope for a better future in President Cyril Ramaphosa’s leadership. Voters’ trust in the presidency has improved and 55% of 3431 participants say they trust the presidency under Cyril Ramaphosa. The figure stood at 26% under President Jacob Zuma’s tenure. Another issue that has dominated elections campaigns is the issue of land. More people are supporting land expropriation with compensation. “In this regard, 34% of respondents said they support land expropriation without compensation and 46% support land expropriation with compensation, while 20% said they did not know,” reads the report.